Thank you for choosing our event. To be a confirmed vendor Please choose your space size from the ticket menu & proceed with payment. 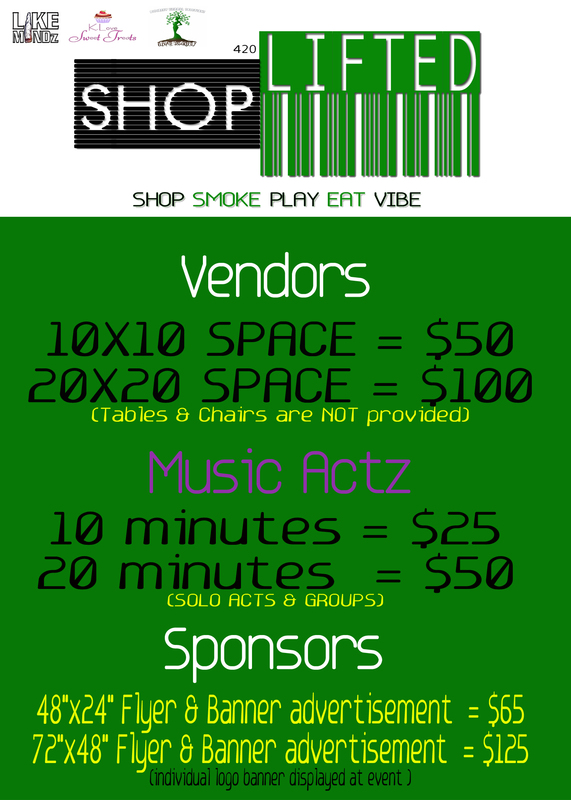 ALL vendors need to be confirmed by NOV 1st @ 5pm to secure a space at ShopLIFTED. ALL vendors may cancel with a full refund up to 10 days from confirmation date. ALL vendors please be aware that any cancellation after the fact will NOT be entitled to a refund. Tables & Chairs not provided. By confirming you also agree that you are solely responsible & liable for all of your business due diligence. © 2019 EventHi Inc. All rights reserved.